End 2011, I followed this course on Russian literature, which was taught in such an enthusiastic way that you end up leaving the room with the firm decision to actually READ these books that you have just discussed. Now, Russian classic books are not exactly what you would name 'thin booklets'. And there are many of them. 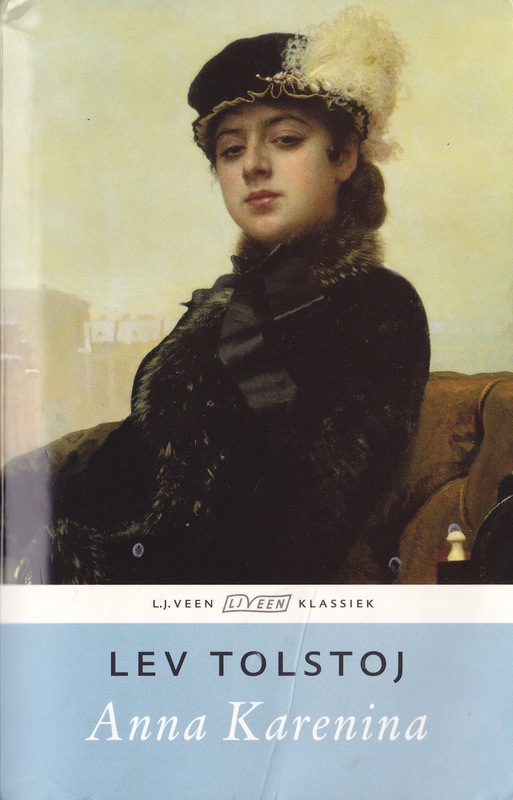 So unconsciously I had always considered the reading of Russian classics as something I would do 'when I am retired'. Yet, retirement age going up all the time and inspired by the course, I decided to make a shortlist, slice it up (meaning: read one or two of these enormous books per year) and voilà, in a few years I will have at least a basic knowledge of the Russian literature. If you consider that I have already read Anna Karenina and The master and Margarita and that I am currently finalising my reading of Dead souls, it seems perfectly doable to finish this shortlist in a relatively short time period. So off I go. Next on my list: War and peace - a whopper! Note: I will read these books in Dutch, in case you wonder; if I read them in Russian, I need decades, not years, to finish this shortlist! Like there are NO other authors and books except middle school program. Hello Blue-ink. I don't doubt there are other good books as well. Don't hesitate to send me your favourites list. Yet, I still think there is nothing wrong with reading the classics. I think this is one of the most vital info for me. And I am glad reading your article. It's really a great and useful piece of info.